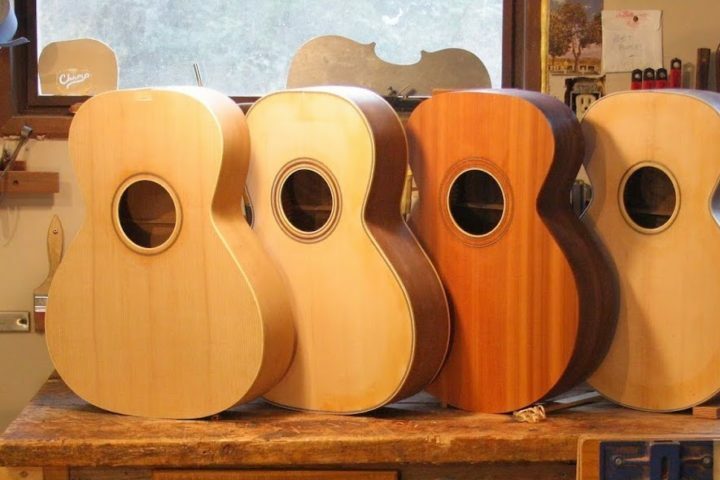 Today’s Catch is surrounded in mystery but thanks to an article we published back in Issue 23 we now quite a bit more about Harwood guitars than we did a few years ago. 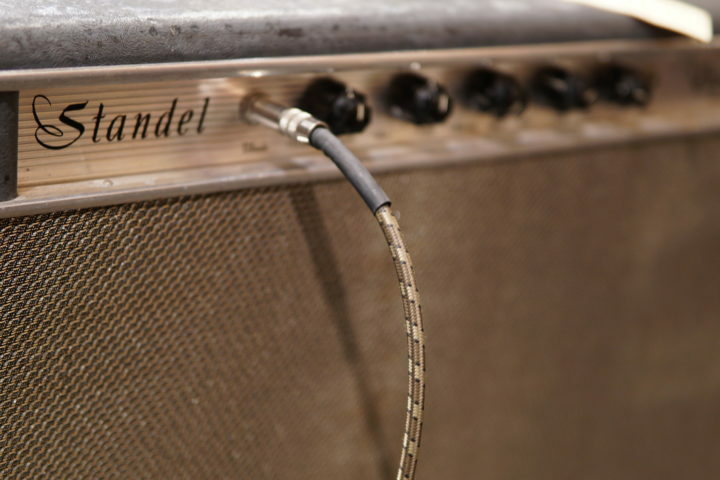 The first mystery we solved in that article was the guitar’s brand name. It turns out that Harwood was not a who but a where. 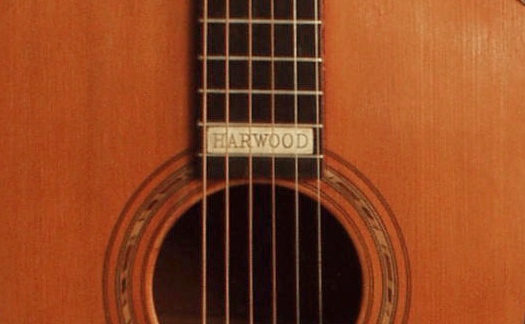 Harwood guitars were built and marketed by J.W. Jenkins & Sons Music Co., a musical instrument distributor that was based in Kansas City and the name Harwood comes from Harwood Heights, Illinois, the town that the Jenkins family lived in before they moved to Kansas City in the 1880s. 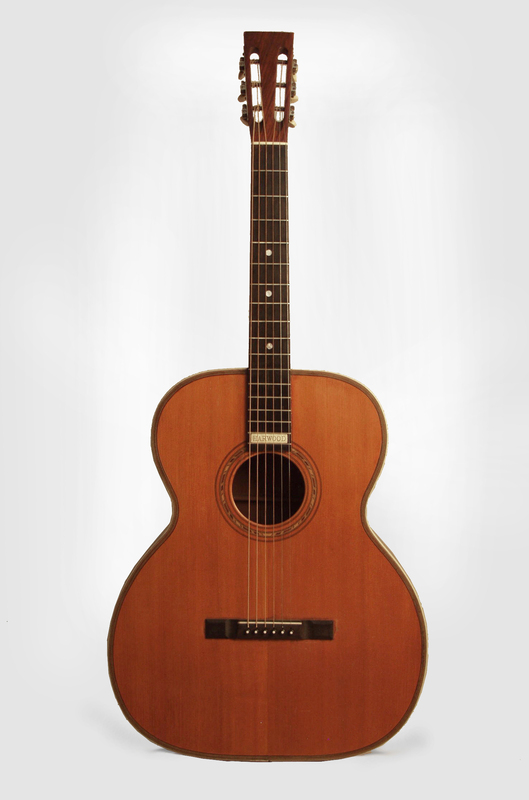 The first Harwood guitars were made by the John C. Haynes Company of Boston, the firm that also built Bay State and Tilton guitars, but by 1894 Jenkins was building Harwoods in their own factory in Kansas. This particular example was built around 1915 so it would have been made in Kansas City. 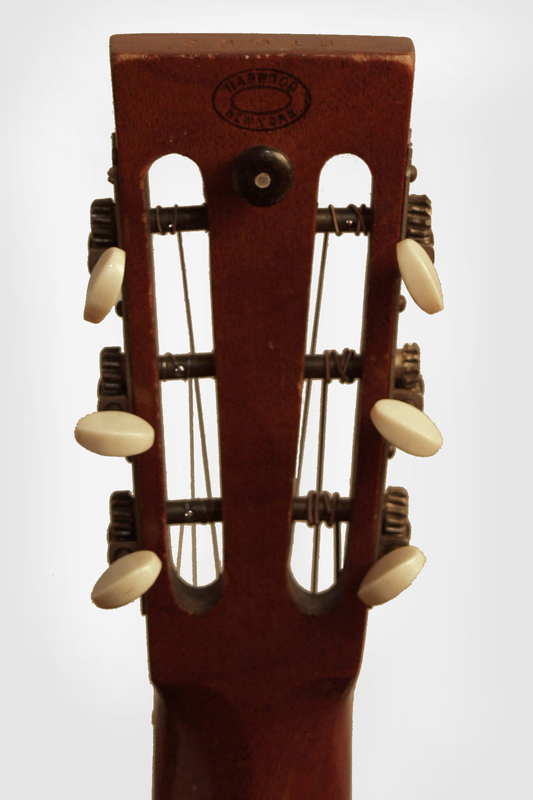 One unsolved mystery is the New York stamp on the back of the headstock. From what we can gather, Harwood guitars had no connection with New York. Maybe Jenkins thought that New York was a more salable name than Kansas City? 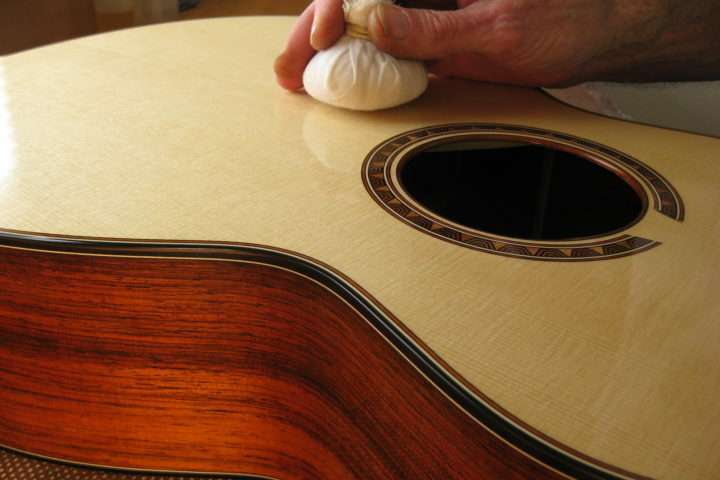 Wherever they were made, Harwood guitars were well constructed. 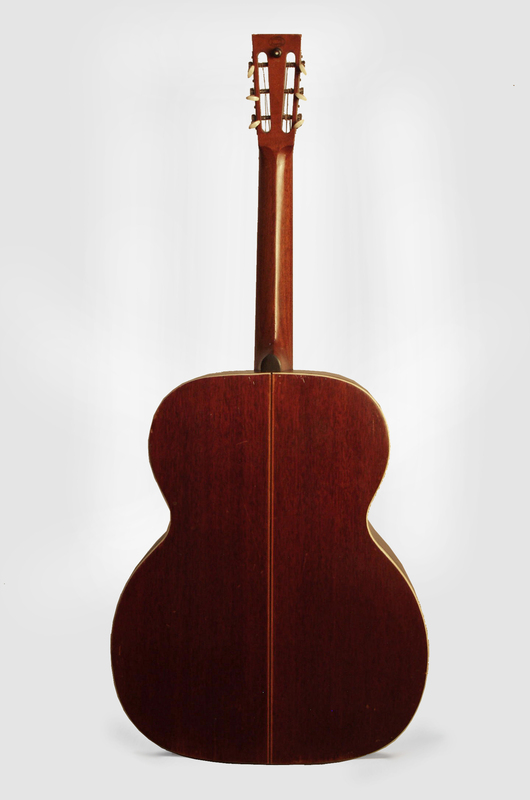 Today’s catch has mahogany sides and back and a spruce top and it measures more than 16 inches across the lower bout, which would make it a large guitar today but positively huge in its day. 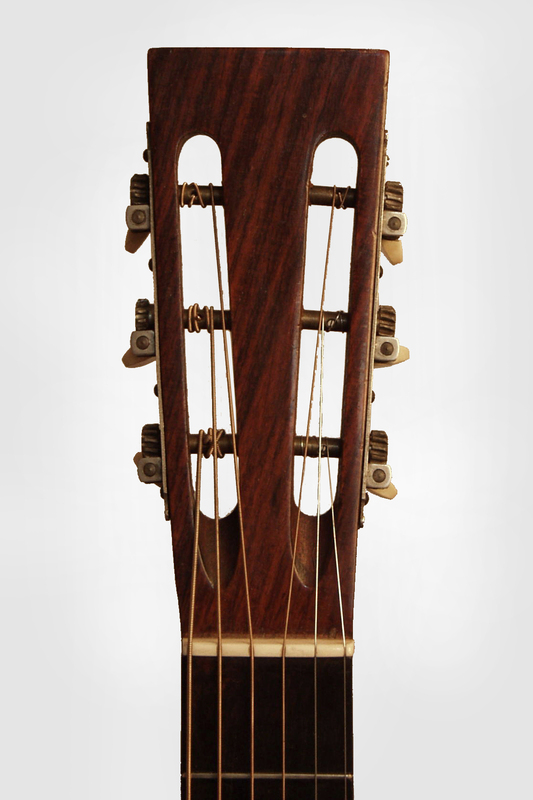 The neck joins the body at the 11th fret, which might be limiting to players who like to play way up the neck, but for someone who stays below the ninth fret, say a rhythm player in an old-time string band, that shouldn’t be a problem. I’ve played a handful of Harwoods over the years and I’ve always been impressed with their fit, finish and tone. This guitar is currently at RetroFret and it is priced at $2,950. UPDATE: Here’s some more info on Harwood from Robert Jenkins, whose family used to own J.W. Jenkins & Sons Music Co. It looks like it might be a bit earlier than 1915.